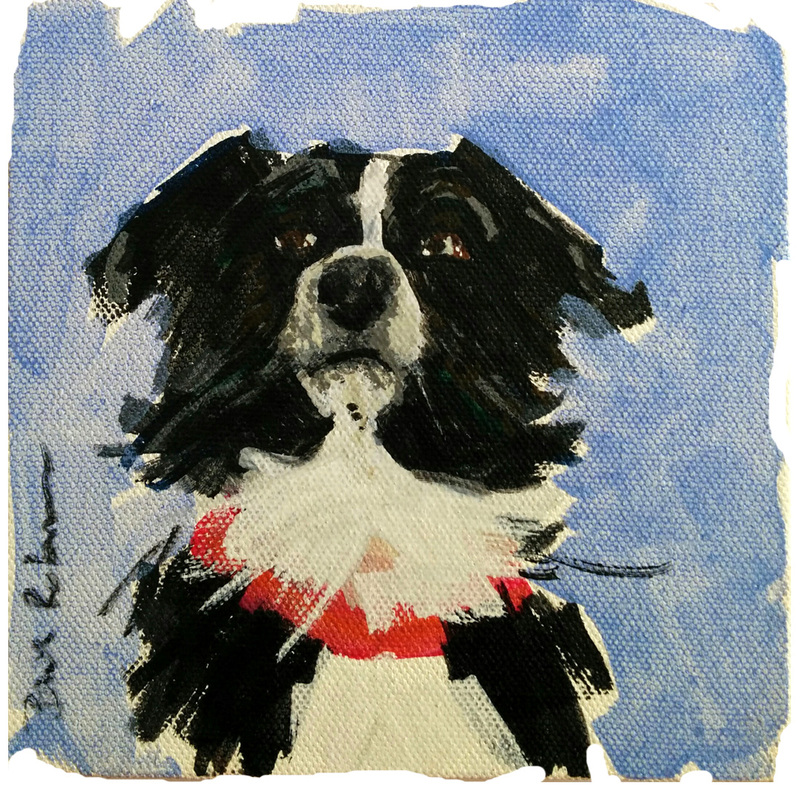 I’ve been exhibiting at the Victoria Fearn Gallery for many years now. 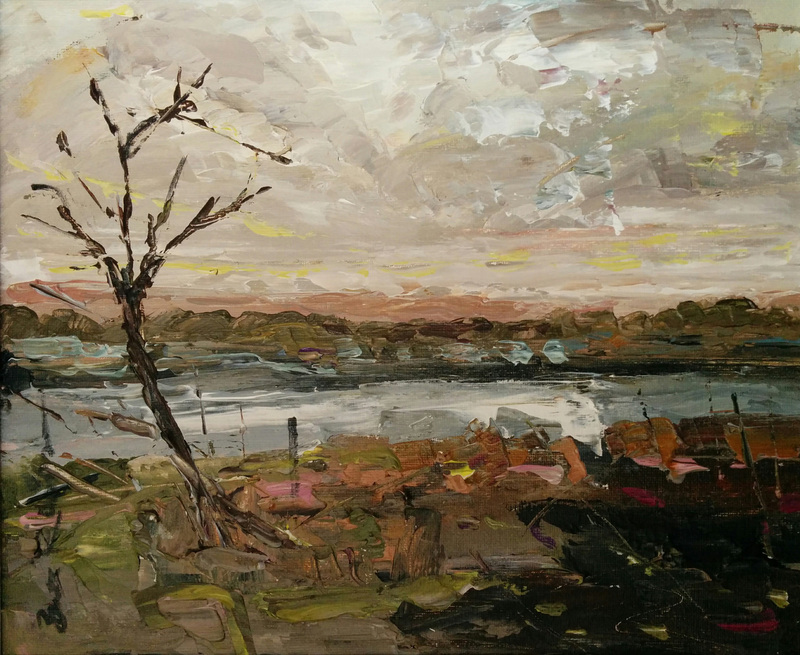 Over that time, I’ve exhibited in various group shows and joint shows, but now that I now work from home and don’t have my own gallery to deal with I was delighted to accept Victoria’s invitation to have a solo show. 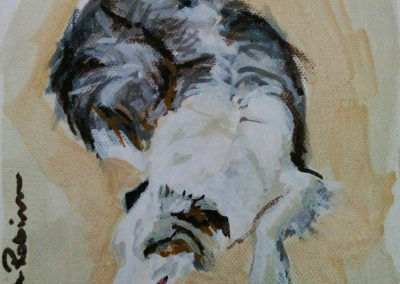 and revisited a couple of others – looking towards Strumble from Mathry, Abereiddy Watchtower. 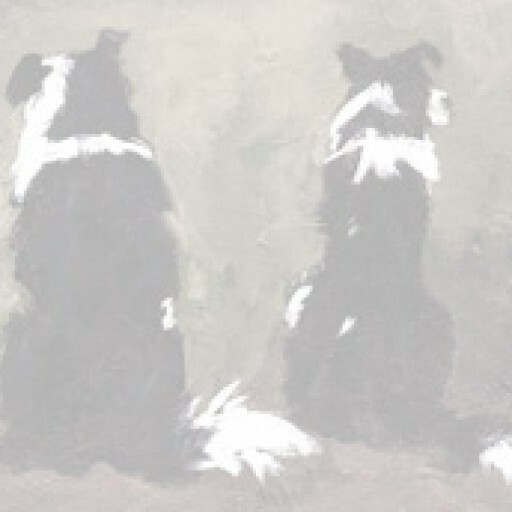 In all there were over 40 full size paintings posted to Victoria. 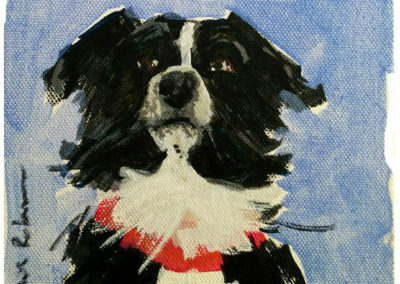 If you’d like to see more of them, have a look on this page where there are quite a few of them. 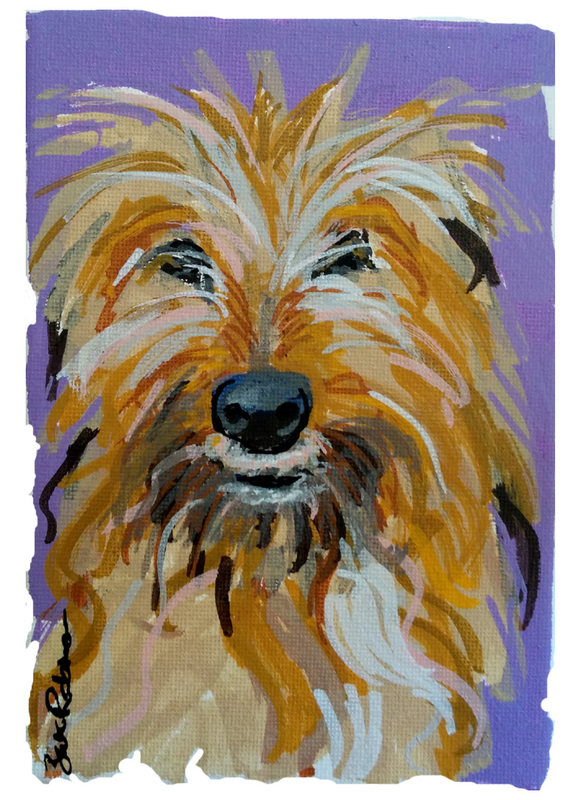 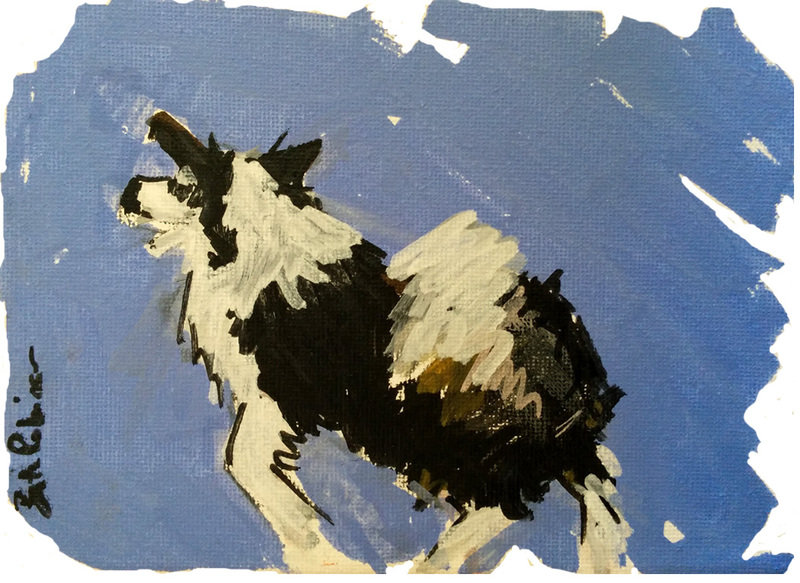 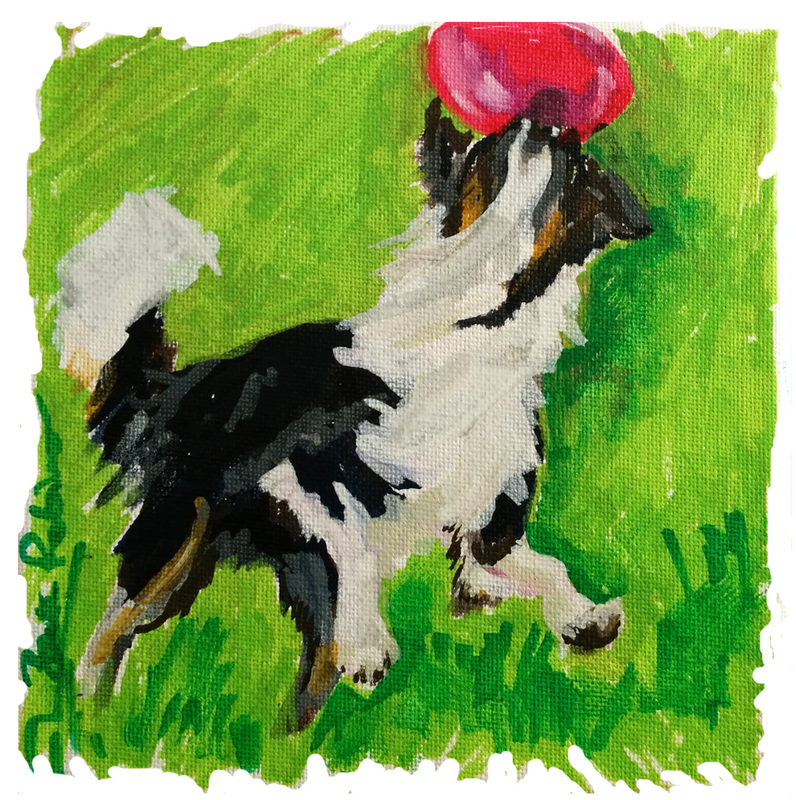 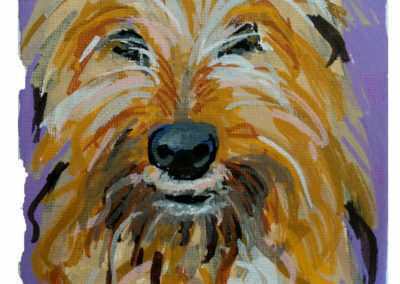 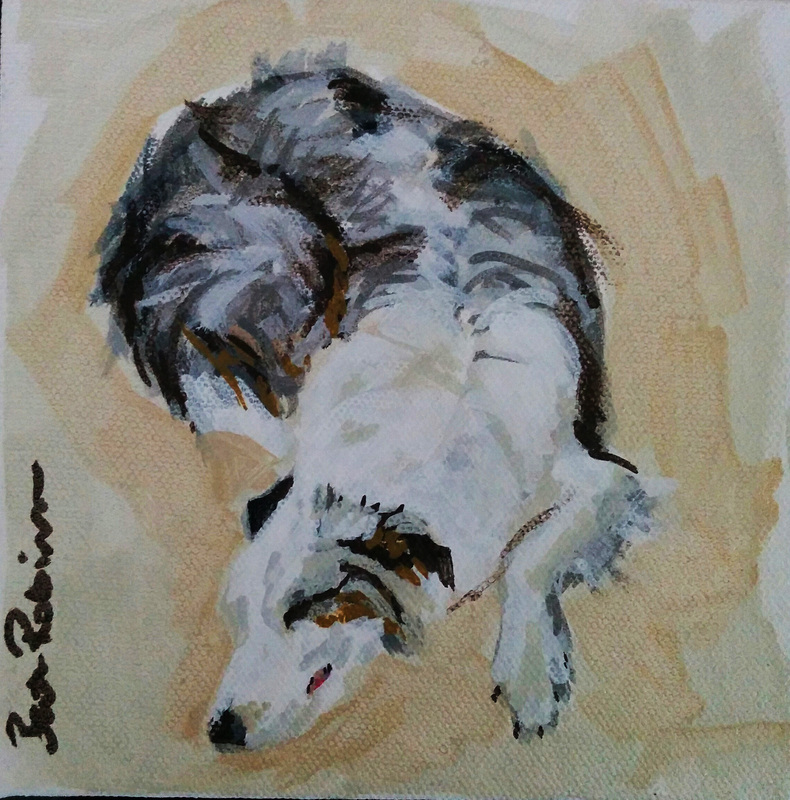 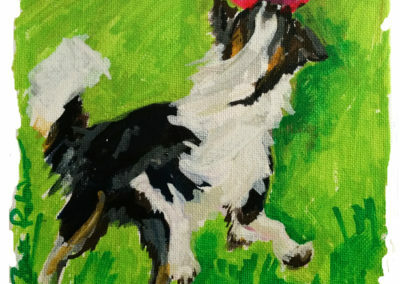 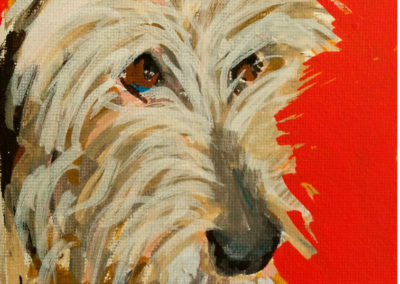 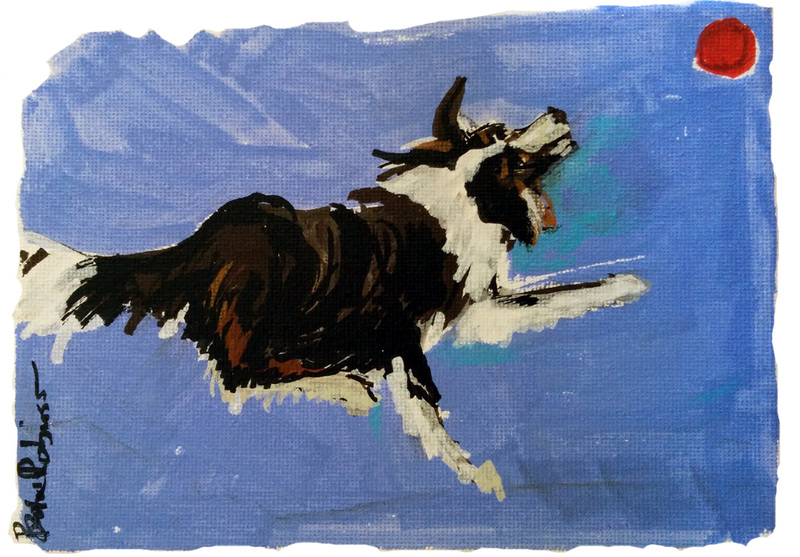 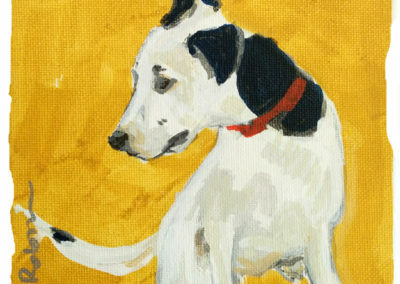 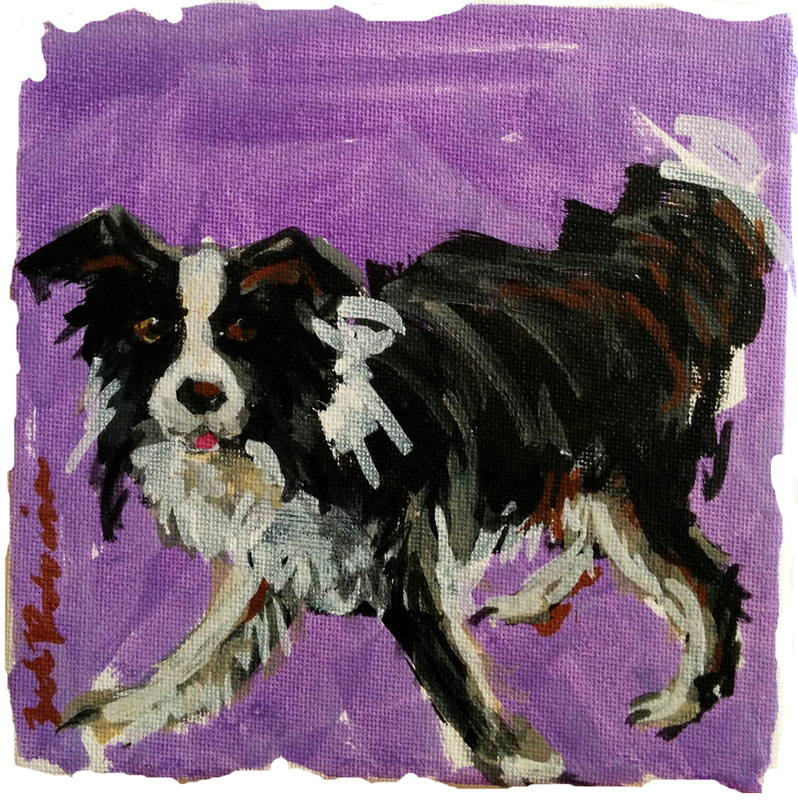 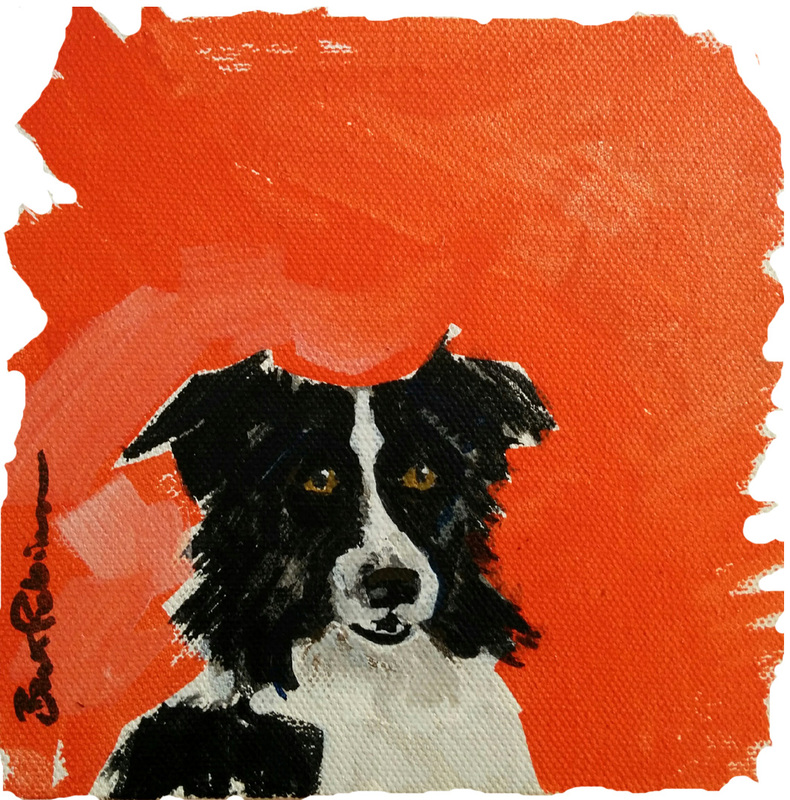 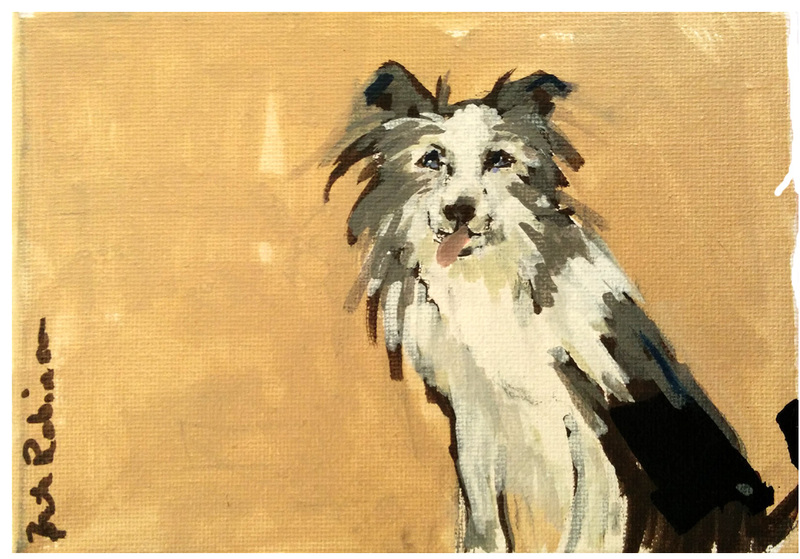 I also sent Victoria thirty mini paint sketches on canvas of dogs – mostly collies – as this is a project I’ve been working on this year. 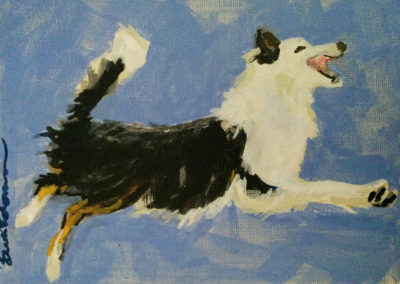 I’ve painted my own dogs and those of many friends. 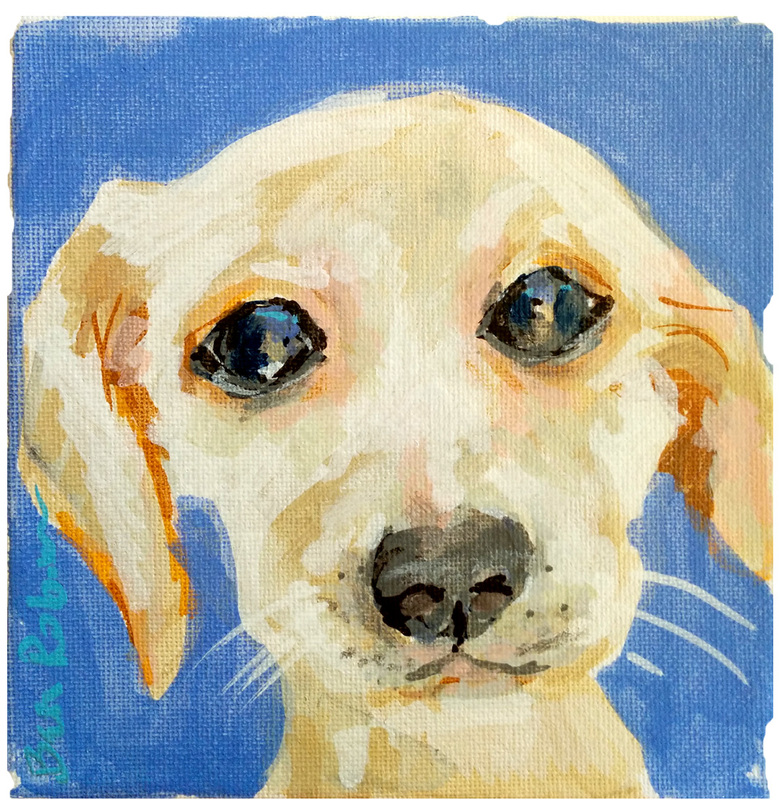 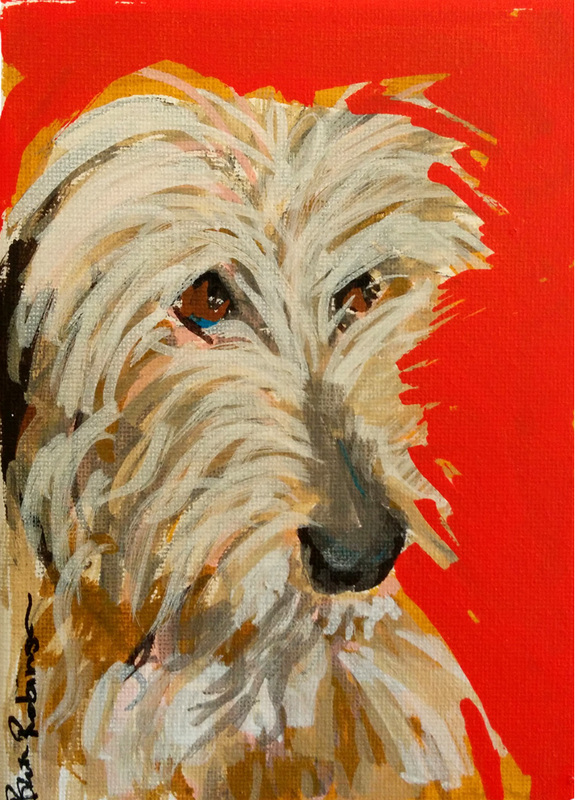 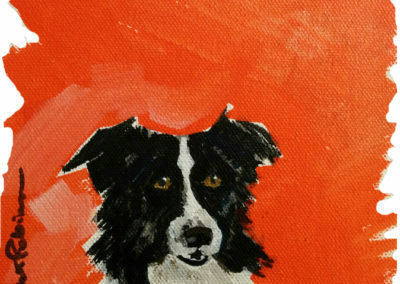 I have even accosted total strangers and asked their permission to paint their dogs. A few of the sketches are dogs which have been rescued by Galgos del Sol in Spain who work incessantly rescuing galgos (Spanish hunting dogs – greyhounds) and podencos. 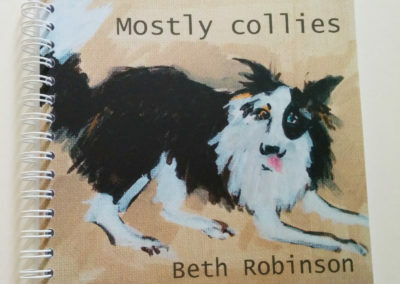 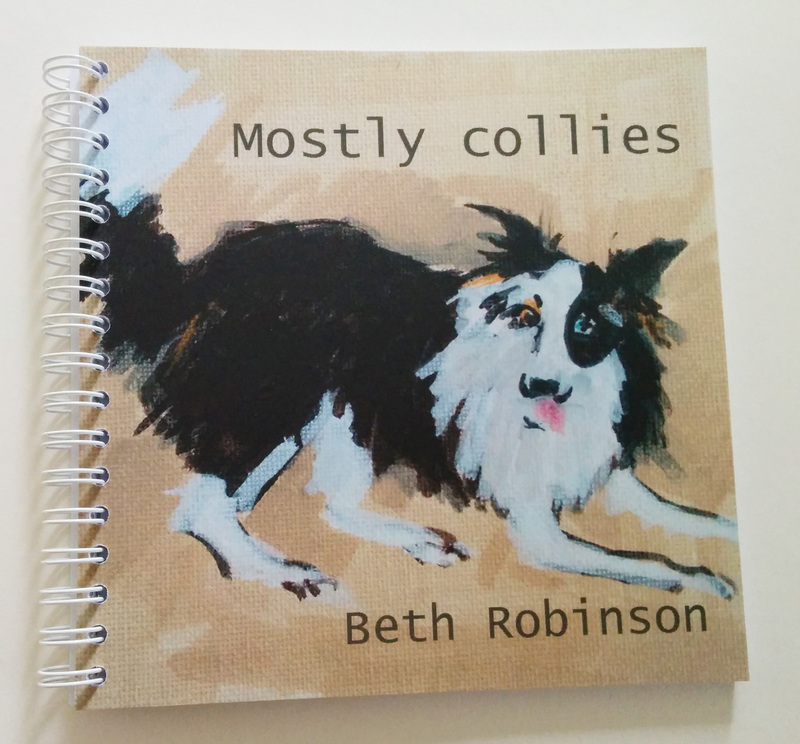 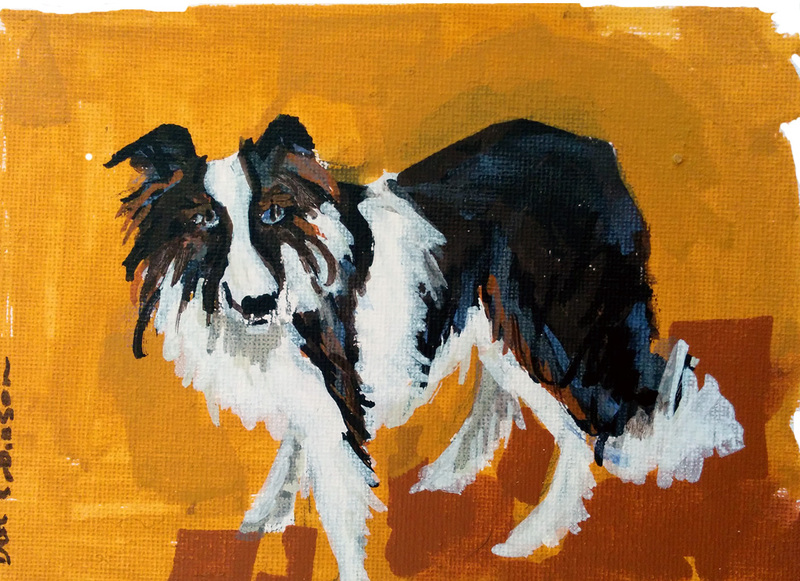 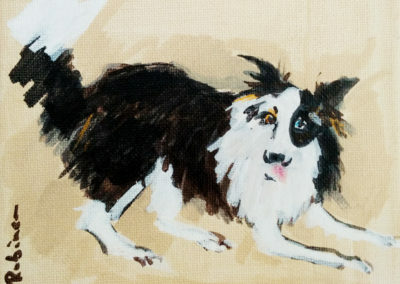 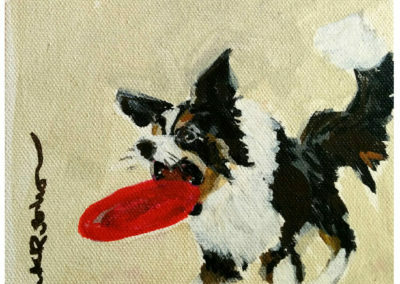 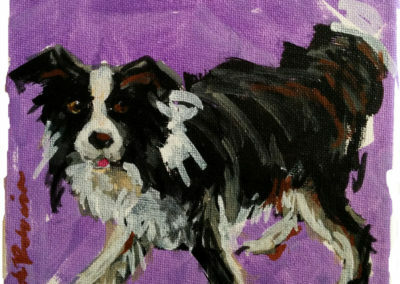 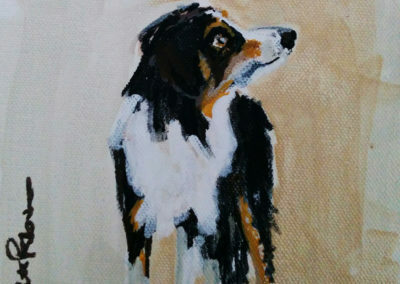 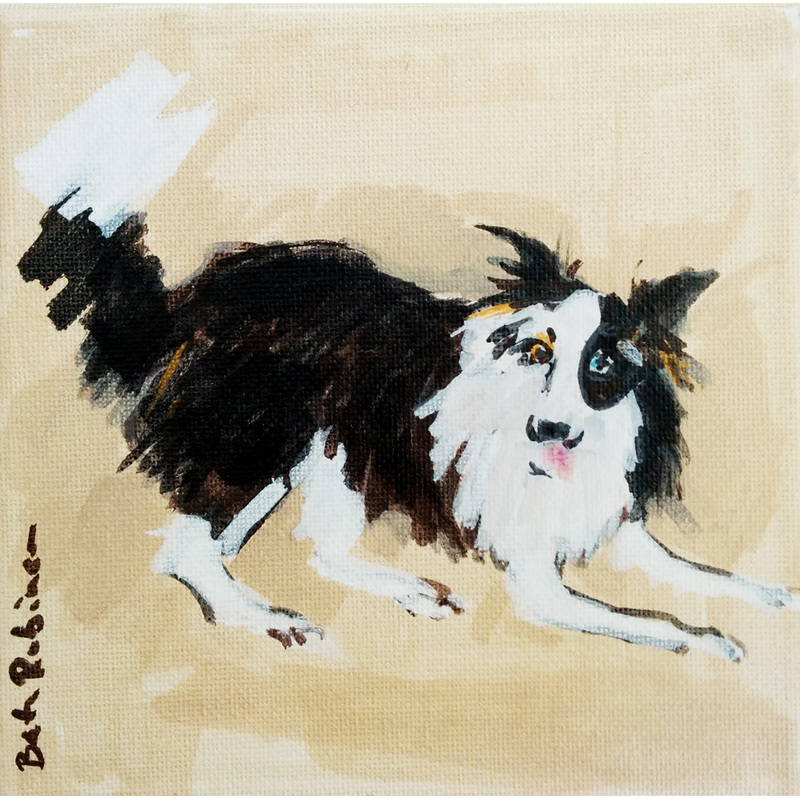 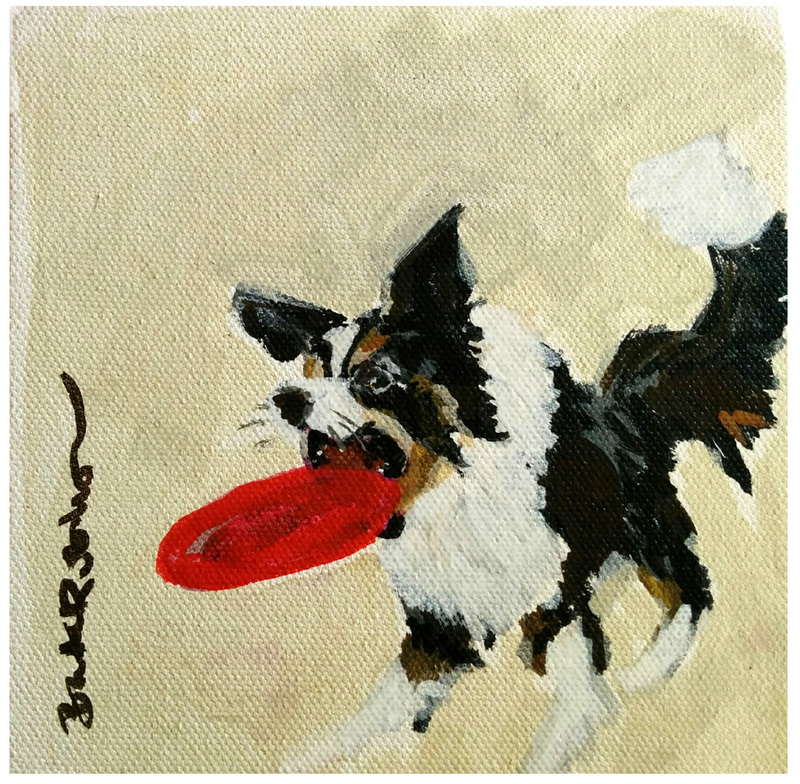 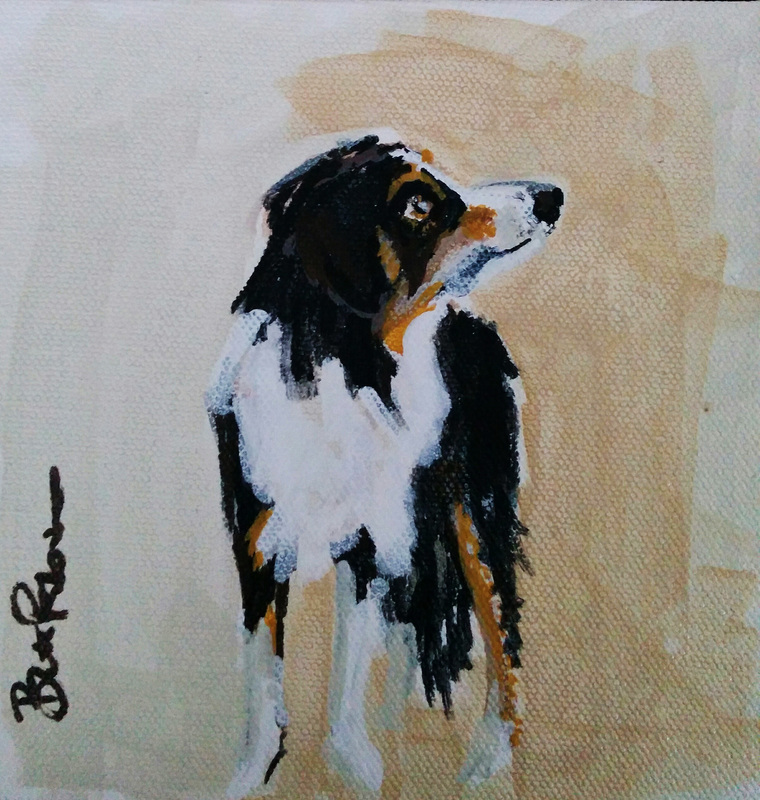 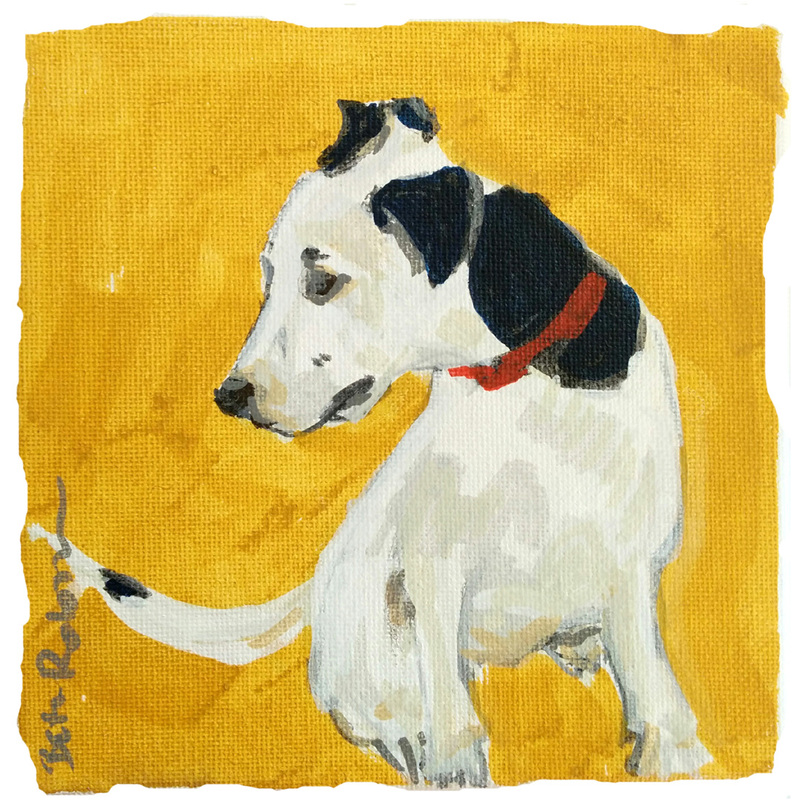 Many of the paintings ended up in my little book, Mostly Collies, and you can see several of them below.